The Christmas story is amazing. Angels appear out of nowhere. A virgin conceives and has a baby. This baby is born in a stable of all places! A star appears in the sky to mark the birth of this child, and is so unusual that wise men follow the star to the child. Ordinary people, just like you and me, are brought into the amazing plans of God. The lowly, rejected shepherds are the first ones to hear of this birth that would ultimately change the world. There are so many unlikely and miraculous events, that it’s almost too good to be true. In fact, I think many people just relegate the Christmas story to fable or fairy tale. We take the manger scene and we clean it up and put it on our mantle or in our front yards at Christmas time. Do we ever really stop to think of the implications of what was taking place? What if the Christmas story happened just as it described in the Bible? The gospel writers knew that the events of Jesus’ birth would be hard to believe. They went to great lengths to show us that not only were these events amazing, they were TRUE. Have you relegated the events of the first Christmas to a piece of decoration around your Christmas tree? If the events of Jesus’ birth are true, then there are implications for every person on the planet because the angel said, “Do not be afraid, for behold, I bring you good tidings of great joy which will be to ALL people. 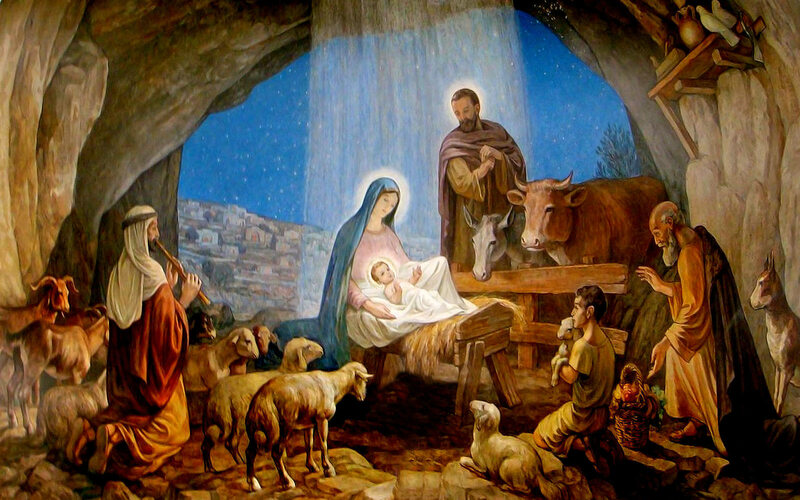 For there is born to YOU this day in the city of David a Savior, who is Christ the Lord.” You are included in “ALL”. He came for “YOU”.